With a wide range of options for your hearth and home, Ember Fireplaces provides quality and expertise with professional installation. A crackling fire can add romance, ambiance and warmth to a variety of rooms, and a partnership with Ember Fireplaces will ensure that your new addition will bring enjoyment for years to come. Many homeowners are interested in adding fireplace features to their homes, yet they have no idea where to begin. 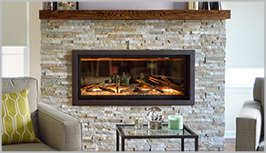 The staff at Ember Fireplaces can guide you through the entire process from design to installation. We always keep budget in mind and provide skilled, in-house resources to complete each project with the greatest attention to detail. Our showroom allows you to see the majority of our offerings in a home-like environment to better experience functionality. Our staff is trained to help guide you through the proper choices for your specific requirements. 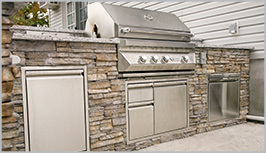 Whether you are building from scratch or renovating and retrofitting, we have the right choice for you. Contact Ember Fireplaces today or visit our showroom to peruse options and dream about your new indoor or outdoor fireplace.